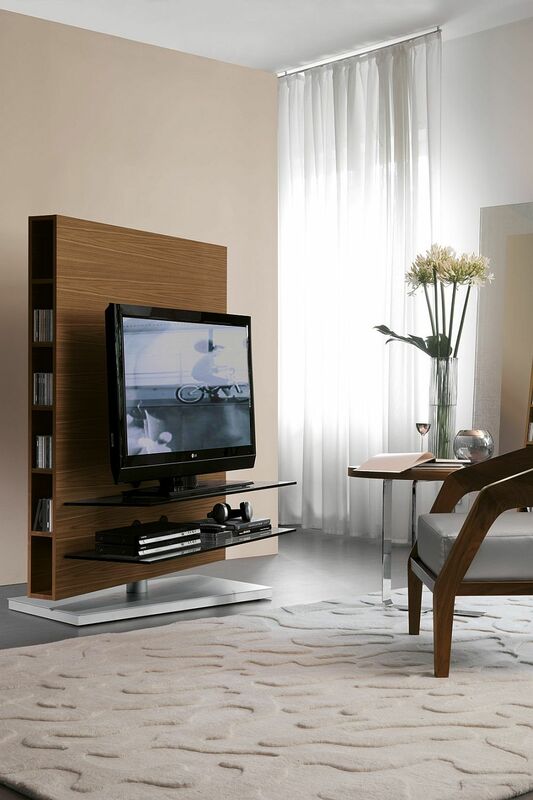 While we believe that the couch sets the tone for the style and theme of the living room, it is the entertainment unit or TV Stand that defines the overall look. 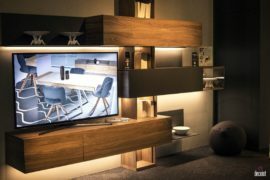 Though the trend of TV-less living rooms is catching on, most of us still have the large television as the central component of the living room. 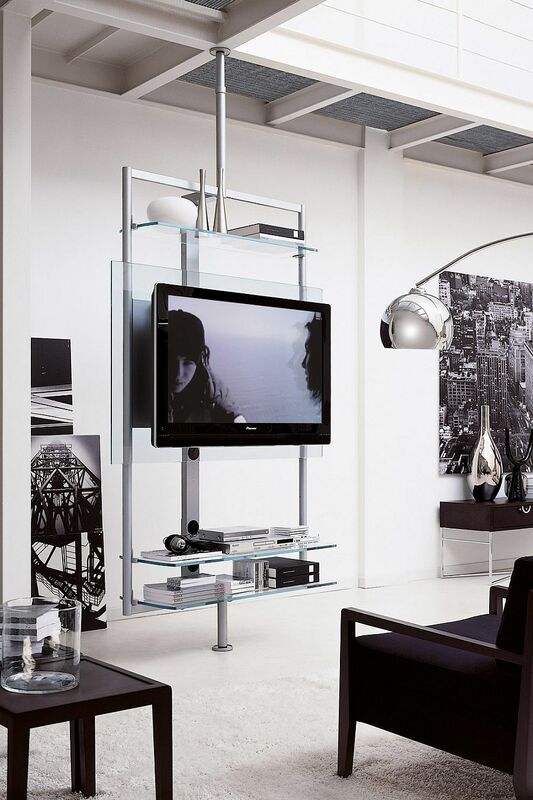 Without the TV many of us are left with the question that Joey Tribbiani once famously asked – What’s all the furniture pointed at? 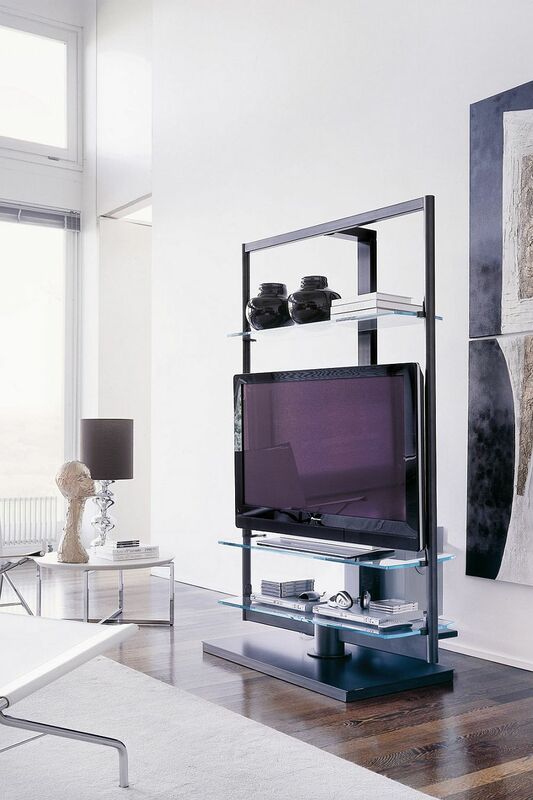 Today we have three amazing contemporary TV Stands from Porada that not only offer the perfect focal point for the living room, but promise to do so with sensational style. 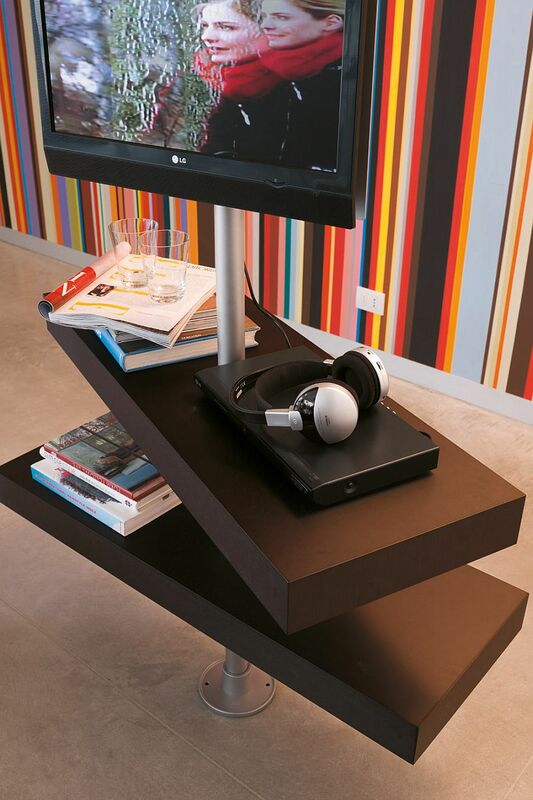 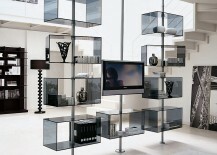 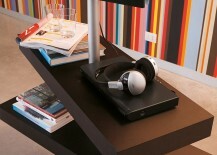 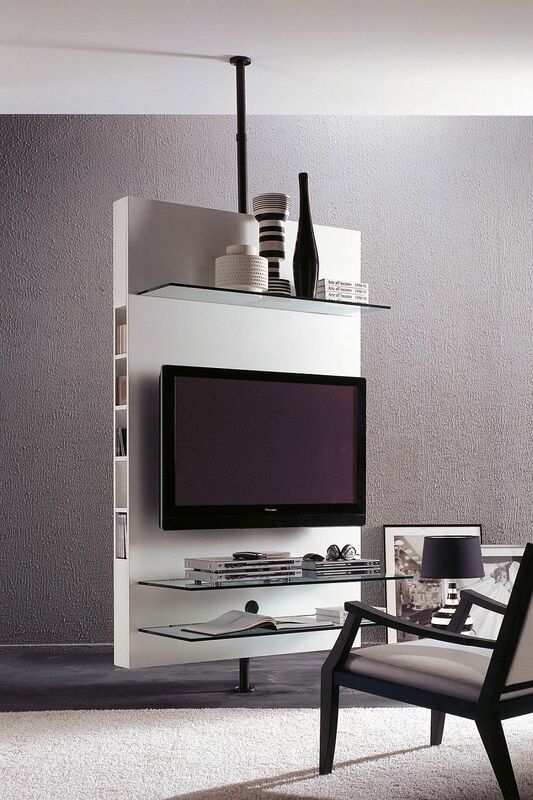 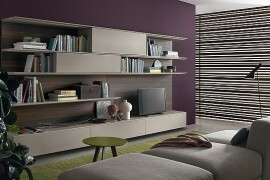 Kick-starting our look at the stunning trio is the cool Domino TV Stand designed by Tarcisio Colzani. 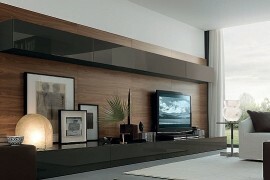 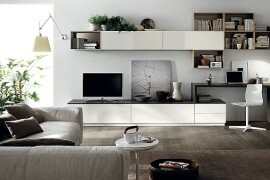 The lovely unit is the epitome of minimal design combined with amazing functionality and adaptability. 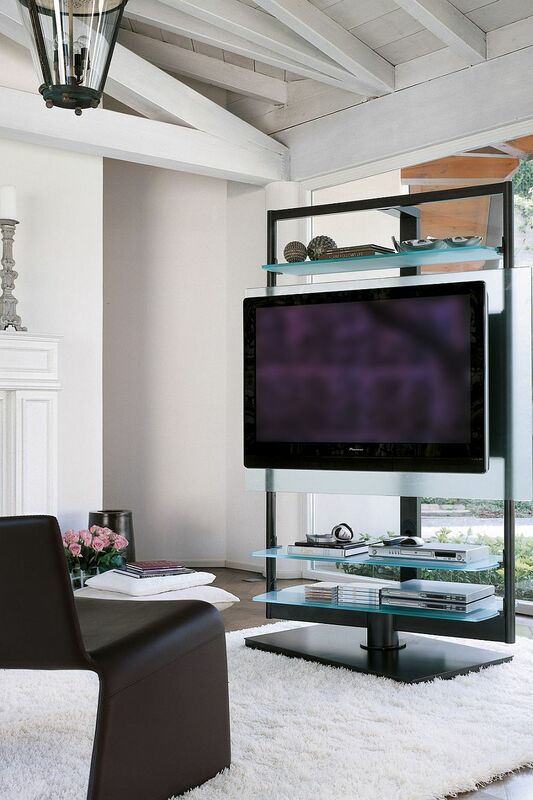 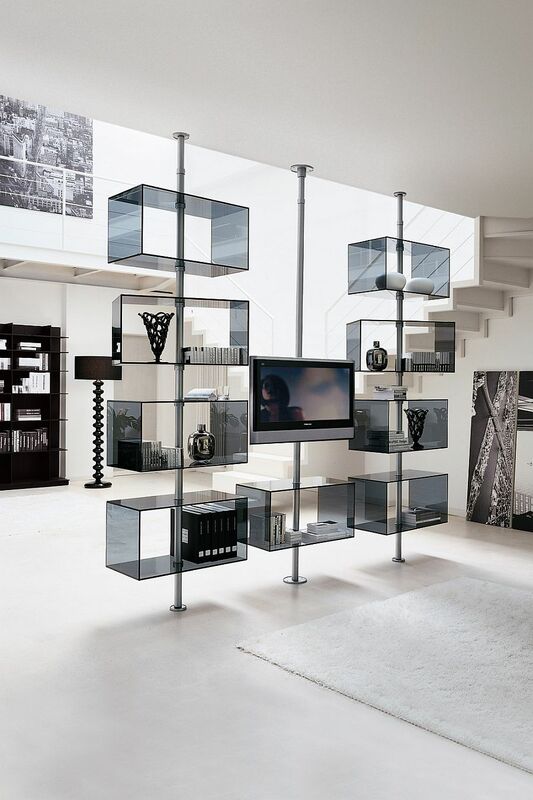 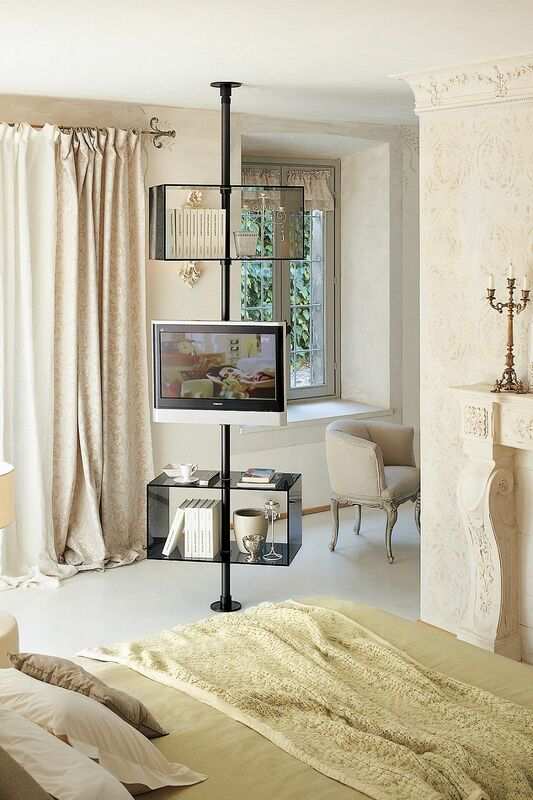 A long metal pole forms the backbone of this TV Stand with optional glass shelves that can be altered to meet the demands of your living room. 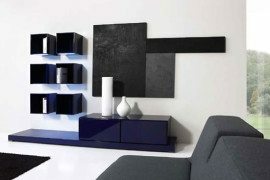 It is this compositional freedom along with the innate simplicity of the design that makes them perfect for living rooms with varied styles and themes. 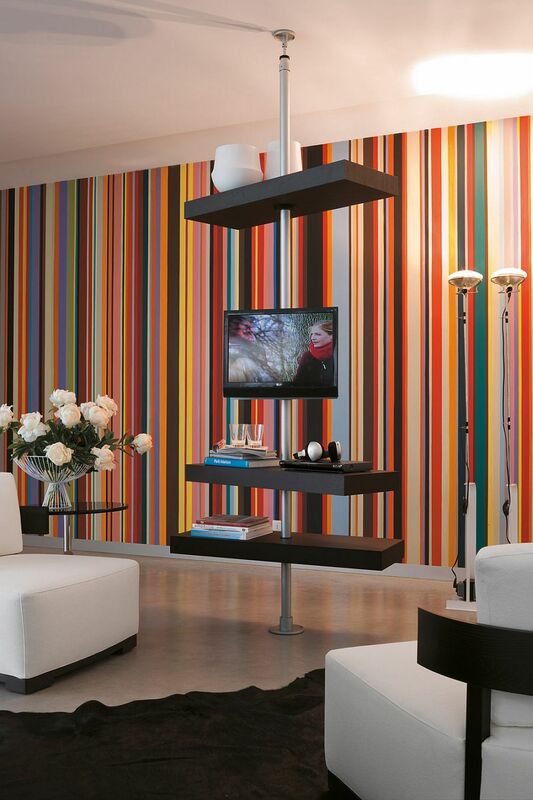 From the industrial loft apartment to the small studio apartment, Domino is at home in pretty much any setting you can imagine. 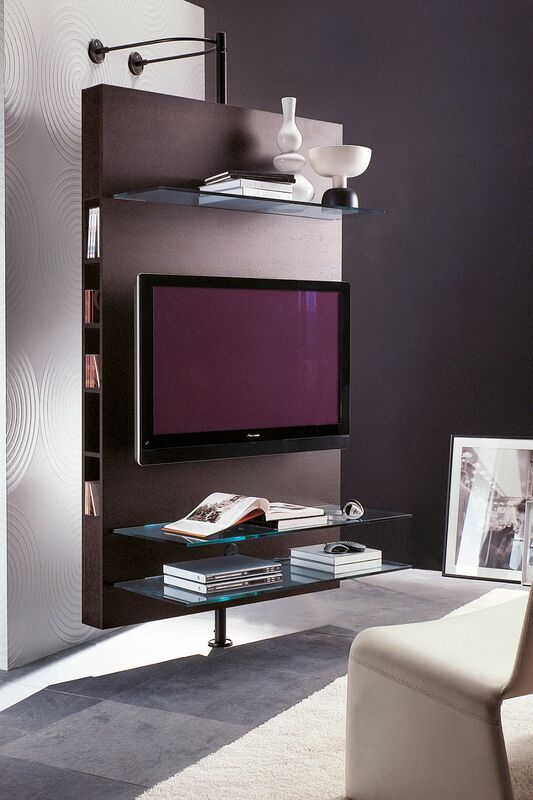 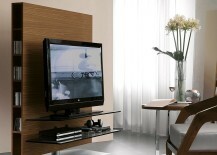 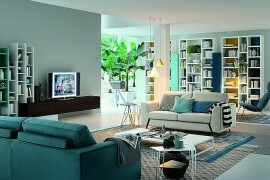 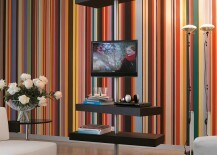 The Media Center is a simple yet beautiful design that does precisely what the name indicates. 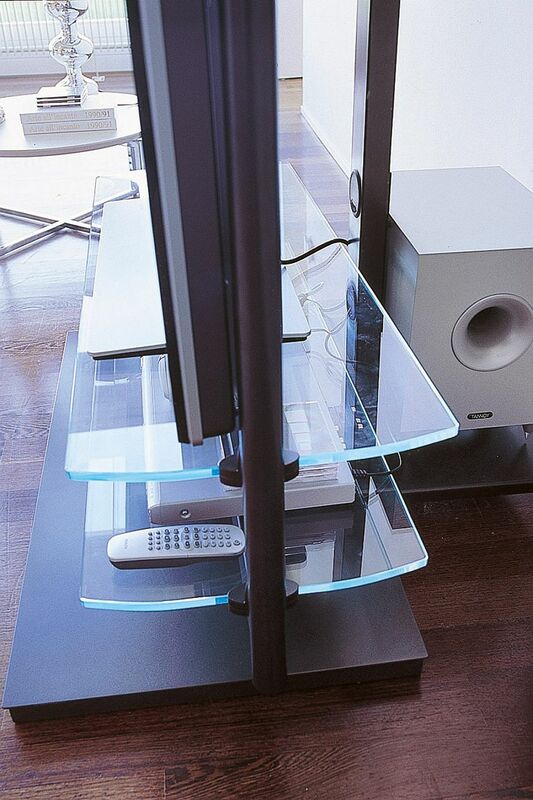 This lovely TV stand goes beyond just providing a space for the TV and can easily double as your ultimate entertainment hub. 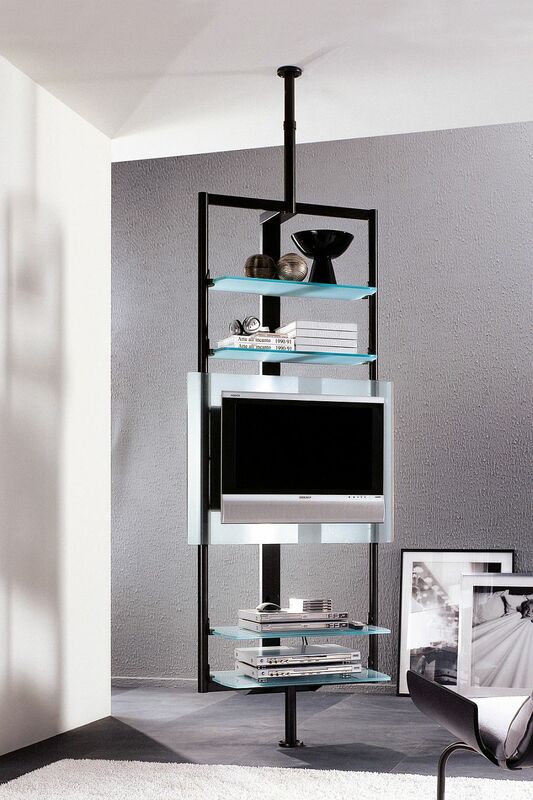 It is obviously not just an addition relegated to the living room and can serve you well even in the bedroom or the uber-cool man cave. 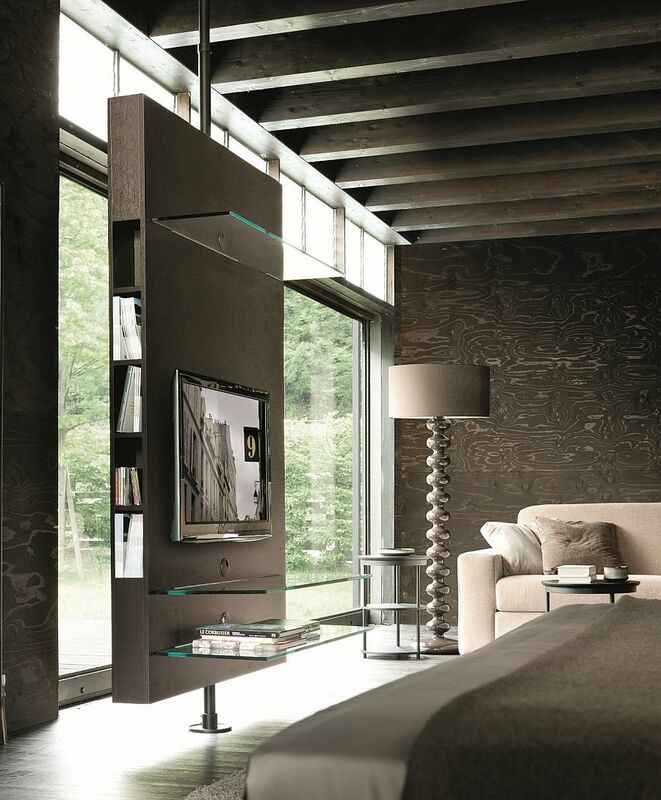 The specialty of this exclusive design is the rotating wooden panel that ensures you get 360-degree access to the TV in an open floor living plan.